Tyler Christifulli from FOAMfrat has been a guest to the blog and podcast in the past. He now has a new educational organization that is taking education in EMS to a whole new level. SMACC stands for Social Media and Critical Care. It is an annual conference hosted by a team of brilliant people found here. As put by members of their team, they share their talks freely after the conference "for the love." Recently we had our first co-host podcast with Kris Maday, another PA involving in podcasting. The podcast we teamed up on can be found on the PAINE Podcast here and the TOTAL EM podcast here. What makes the PAINE blog and podcast so unique is that it is helping get PAs ready for their PANCE and PANRE but is from a leading educator in the PA world. Some say that he gives his dogs hard c-collars for chew toys and that he once used VL...and liked it. All we know is, he's not the Stig, but more like Minh. That's right, Minh Le Cong. He may seem like he stays up at all hours telling the world about how ketamine is the best drug ever, but this world famous Australian flying doctor knows quite a bit and is always willing to share. He has so much material out there, few have probably read and listened to it all. However, this flight physician consistently puts quality information out there for the world to enjoy. We were fortunate enough to have him as our first guest. You can listen to him on Podcast #5 and Podcast #6 where we spent approximately one hour interviewing him. 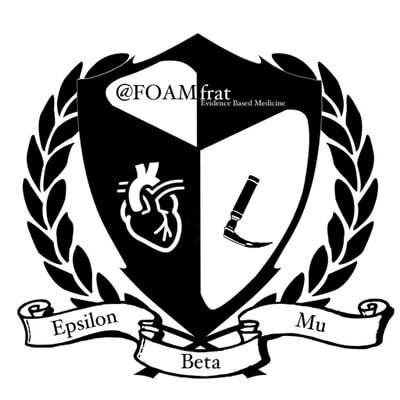 When I have new students rotate with me and I introduce them to FOAMED, there is one site I show them first. EMCrit is all about emergency medicine and critical care with the goal of bringing upstairs care downstairs. If you have not heard of this site yet, then you need to stop reading and go there now! There are great podcasts, and then there are podcasts that just blow your mind. Matt and Mike from the Ultrasound Podcast accomplish that mind blowing experience that only an ultrasound device can accurately diagnose in some new fancy technique they only know. Never fear though, they are willing to share that knowledge through their podcast. When completing my master's program to become a Physician Assistant (PA), it was time to start finding tools to get ready for boards. Multiple sources were used including Hippo Education (and no, it is not about hippos), but as a student the search for free information was key. 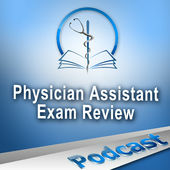 Enter my first podcast ever, the Physician Assistant Exam Review (PAER). The Skeptics' Guide to Emergency Medicine (SGEM) is a fantastic website. It is devoted to cutting the knowledge translation (KT) window from over 10 years down to less than 1 year. Much of the content derives from the Best Evidence in Emergency Medicine (BEEM) process. It uses free appraisal forms to critically evaluate research. Part of the task of TOTAL EM is to provide a similar process. When new friends and other blogs/podcasts are found, this side of the site will be updated so continue to check this part of the website, too!